The inspiration for this card came from a sentiment on the Candy Shop Girls stamp set by Virginiaturtle.com. 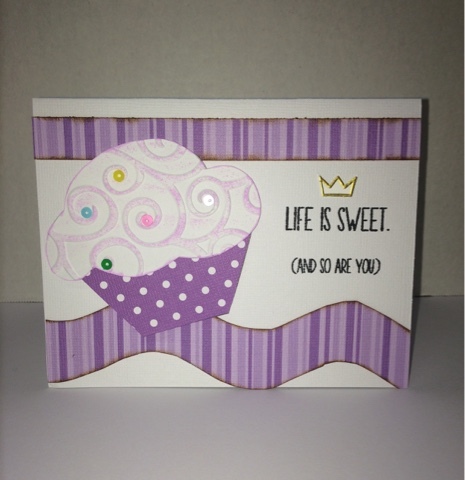 I think it's a cute and simple card, the cupcake is paper pieced with embossed and inked icing, and Sugar Rush sequins also available at Virginia Turtle Craft Supplies. Here's a really quick and easy shaker card!! For this card, I used a sentiment from Virginia Turtle Stamps freebie stamp set, and a 3d sun from the Silhouette Store. I cut the sun using the instructions on the image page. Then I stamped and foiled the sentiment, and using my Gina Marie die, cut a rectangle using the cross-stitch die. 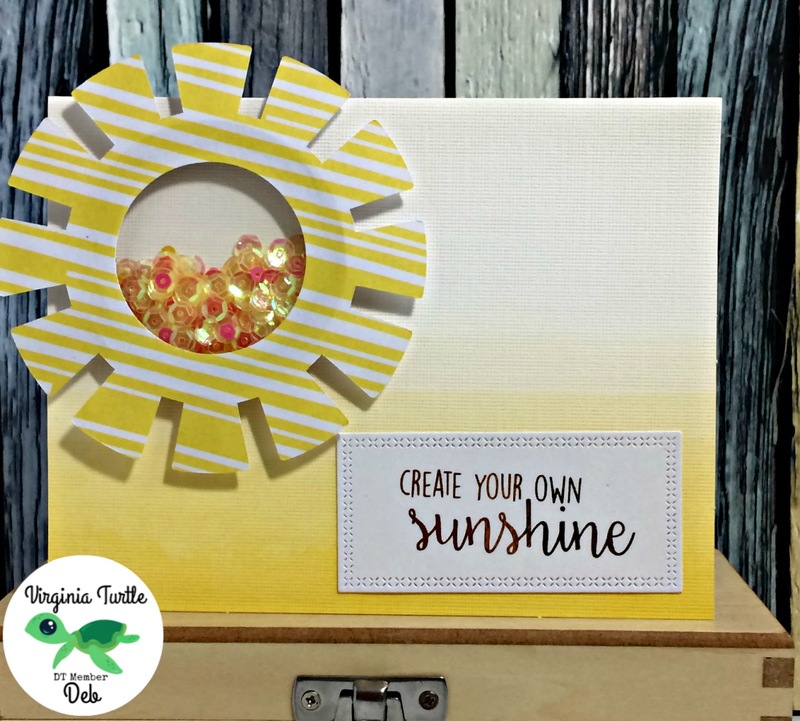 I filled the center of the sun with Lemonade Mix sequins fromVirginia Turtle, which is now a retired product. To me, this sentiment has a lot of meaning! If you don't create your own sunshine, no one will do it for you!!! Have a crafty and sunny day!! Today I am sharing a card I created using stamps from creativevisionstamps.com, and card borders from kiwilane.com. 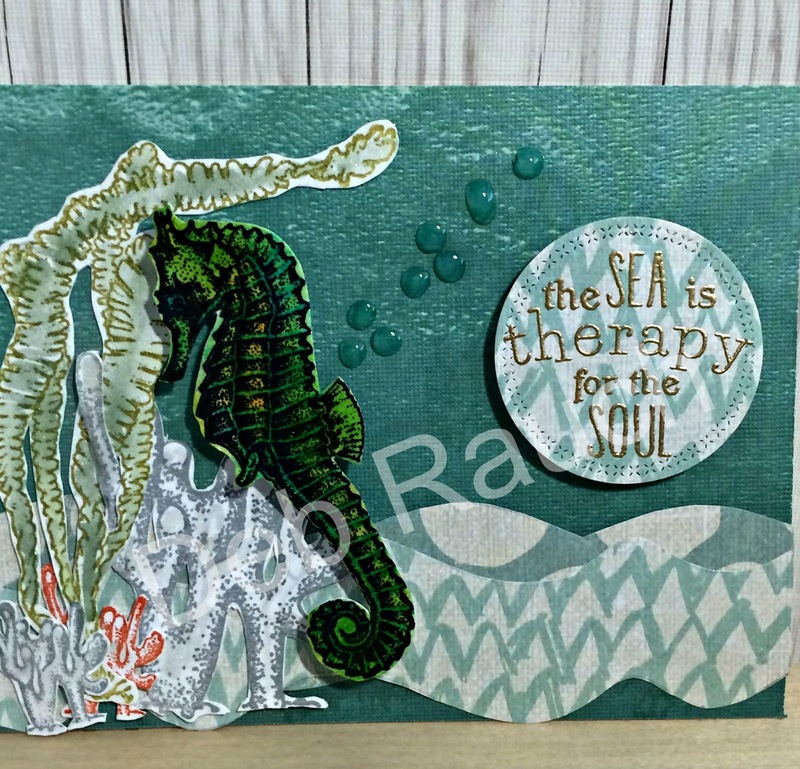 To begin this card, I stamped and fussy cut a seahorse, seaweed, and coral. 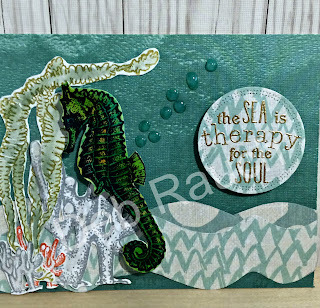 For the seahorse, I used several colors of Tim Holtz Distress ink, and then covered the whole seahorse in Clear Rock Candy Distress Paint. This paint is awesome! As it dries, it actually starts to crack some here and there!! The two borders at the bottom were cut using the Delight card border set from kiwilane.com. I must say, that I am kinda obsessed with Kiwi Lane's borders!! I use them a lot on my scrapbook pages, and just recently started using them on my cards. The sentiment is from a Julie Nutting stamp set, which I embossed with Gold embossing powder. I then cut the sentiment using a Gina Marie Round Cross stitch die!! Hope you enjoy my little taste of the Sea! !